Thanks to WBEZ for having me on the air today! I spent part of my morning at a DC radio station calling into Chicago’s own WBEZ to discuss the Chicago Letter that I have covered extensively here. All in all, I think that the segment was a very interesting discussion about the letter that Dean Jay Ellison sent to the incoming Class of 2020. You can listen to it here. In the course of doing some research for this segment, I scrolled through Katherine Timpf’s recent articles. Timpf covers college campuses and the madness that occurs on them at National Review, and I was shocked at just how many stories there were from the past few months, many of which I had not even heard about beforehand. 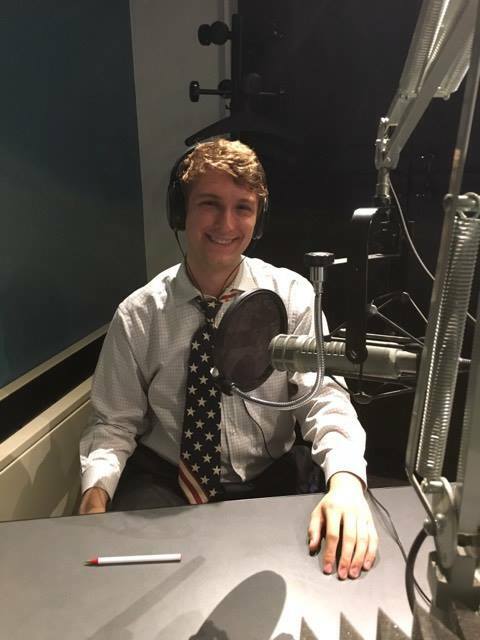 In the course of this radio segment, I only mentioned how Case Western set up a safe space when the Republican National Convention happened nearby (hilariously, no one seems to have visited it), but I want to use this space to highlight just a few of the other stories that Timpf wrote about that were particularly shocking. In the course of the interview, I made the case that this letter did not emerge from a vacuum. We have had several events at the University of Chicago in the time that I have been there that are cause for concern. Additionally, we are a leader in the realm of academic freedom, so at a time when other schools are casting aside their commitment to free speech, it is all too critical that we stand by our values and history. Princeton’s HR department recently published Guidelines for Using Gender Inclusive Language. In its column of words to avoid using, it listed “man,” “mankind,” “to man,” etc. Students at Elon University are in the middle of a campaign to un-invite “slightly right of center” Pulitzer Prize-winning writer Kathleen Parker from campus. Their petition’s goal is to stop “her from spreading her dangerous rhetoric through the school we love and cherish.” Fortunately, it seems that Elon will refuse to cancel her speech. These incidents are only a handful of the stories that have been in the news in the past few weeks! However, the fact that these, and so many other similar stories, have been constantly occurring on campuses across the nation shows just how important, timely, and necessary the Chicago Letter really is. Of course, any discussion about the insanity of college campuses would be incomplete without highlighting the work of the Claremont Independent, which has done stellar work chronicling the litany of events that happen on an all too frequent basis at a collection of schools in California.